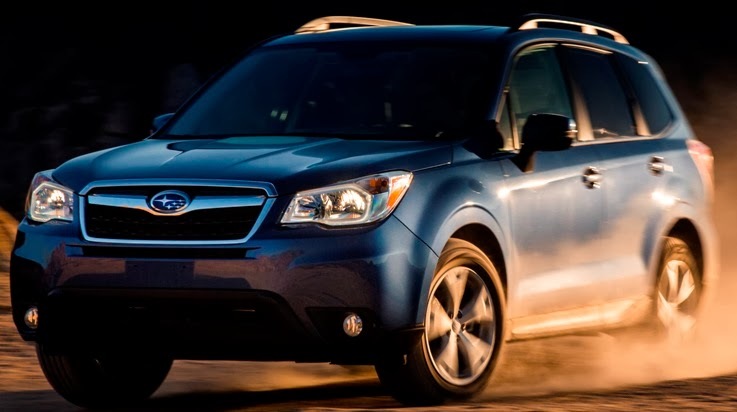 The redesigned 2014 Subaru Forester is the most reliable vehicle you can buy according to the latest Consumer Reports' new car reliability study which surveys its magazine and website subscribers each year to ask about any serious problems they've had with their vehicles in the preceding 12 months. No mention of miles driven which is the biggest factor. Japanese carmakers Lexus, Toyota, and Acura were one, two, three for brand reliability, with all Lexus and Acura models scoring above average. Audi, jumped 22 spots in just two years, moving up four places from last year to fourth overall. Next were Mazda, Infiniti and Volvo jumping 13 places to seventh. Honda was next at eighth. All Infiniti, Mazda, and Toyota models scoring average or better. All Japanese makes rank among the first 11 except for Nissan, which sank to 22nd. GMC was the top domestic brand at ninth, three places higher than last year. Subaru rounded out the top 10. Ford and Lincoln were just above Mini at the bottom of the Consumer Reports' list because of their MyTouch infotainment system difficulty according to Consumer Reports. Ford is having sales success and happy Ford owners are questioning this latest study and the ranking of their brand. Consumer Reports’ says their reliability Ratings show how well vehicles have held up and the odds that an owner could be inconvenienced by problems and repairs. The large-scale survey collects detailed data on about 1.1 million vehicles, giving them a solid source for chronicling past reliability and predicting future performance. For more on the brand rankings and individual vehicle recommendations, subscribe to Consumer Reports. Finalists chosen for Motor Press Guild's Innovation Vehicle of the Year (IVY) awards have been selected in two price categories by MPG's panel of journalists who reviewed all of the nominated vehicles. Vehicles have to be on sale in the U.S. by January 1, 2014 to be eligible for the 2013 MPG IVY Award. These vehicles will be judged on overall innovation, technology/engineering, safety, environmental impact, and price/affordability/value and the winner will be determined by a vote of MPG member journalists and analysts. The selection process starts with all MPG members nominating up to three vehicles for each price class. Manufacturers may also nominate their own vehicles. In the second stage, a jury of MPG Journalist members vets the nominations and chooses twelve finalists, six in each category. Though it looks like there are five in the lower price category and seven in the higher price this year. The winners will be announced at the 2013 L.A. Auto Show on November 20. The 2014 Nissan Pathfinder Hybrid, which is on sale now at U.S. Nissan dealers nationwide, is one of Pathfinder's 14 model configurations with a Manufacturer's Suggested Retail Price of $35,970 (including $860 Destination and Handling) for the SV 2WD Hybrid model, versus a starting price of $32,970 for a comparably equipped SV 2WD 3.5-liter V6 model. 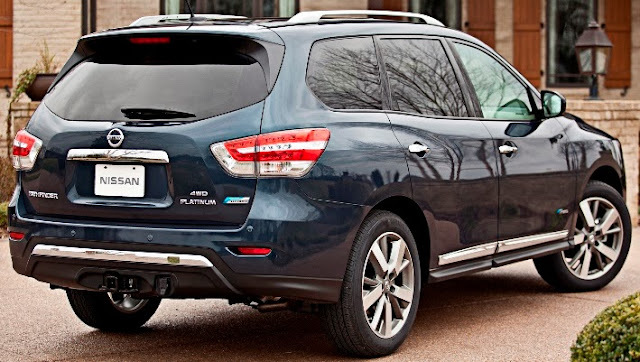 The new 2014 Pathfinder Hybrid has a supercharged 2.5-liter gasoline engine and an electric motor paired to a compact Lithium-ion battery that fits under the 3rd row seat. The hybrid system uses a Nissan Intelligent Dual Clutch System (one motor / two clutch parallel system) that manages power from both the electric motor and the gas engine. The 15 kW electric motor and gas engine work in tandem to provide performance equivalent to the Pathfinder 3.5-liter gasoline V6 model. The system is rated at 250 net horsepower and 243 lb-ft of torque versus the 3.5-liter V6 ratings of 260 horsepower and 240 lb-ft of torque. Fuel economy for the new Pathfinder Hybrid is rated at 26 mpg combined, an increase of 24 percent over the standard Pathfinder. City fuel economy is 25 mpg, while highway mileage is rated at 28 mpg (27 mpg 4WD). The all-new Kia K900 rear wheel drive flagship sedan will debut at the Los Angeles auto show next month and is scheduled to go on sale next year with either a V6 or V8 engine. Kia is wanting to take the brand upscale. The all-new BMW 2 Series Coupe, 2.8 inches longer than the 1 Series Coupe it replaces, will arrive in the US in the first quarter of 2014 as the 228i for $33,025 (including $925 destination and handling) and the M235i for $44,025. The BMW 228i Coupe will be powered by the 240 horsepower TwinPower Turbo 2.0-liter four-cylinder engine. The BMW M235i will have a 322 horsepower 3.0-liter inline six-cylinder engine with TwinPower technology delivering 332 lb-ft of torque. Both engines are mated to an 8-speed sport automatic transmission. The BMW 2 Series Coupe has a rain sensor with automatic headlight activation and available optional features that include Adaptive Xenon headlights with cornering light, High Beam Assistant, Park Distance Control and the rear view camera, which displays its images on the iDrive operating system’s Control Display, Parking Assistant and Driving Assistant which comprises the camera-based Lane Departure Warning and Collision Warning systems. The all-new 2015 Mercedes-Benz C-Class, built in Tuscaloosa, Alabama, and launching in Fall 2014, is 221 lbs lighter than its predecessor with its aluminum hybrid body, adds a head-up display, has a newly designed 4-link front axle, comes with a steel suspension and can be equipped with an air suspension (AIRMATIC) on the front and rear axles. Stay tuned for engines, trim levels, pricing and packaging for the US market details. General Motors will build a bi-fuel Chevrolet Impala sedan for retail and fleet customers that operates on either gasoline or compressed natural gas (CNG) to go on sale next summer as a 2015 model, GM Chairman and CEO Dan Akerson announced. CNG vehicles typically have 20 percent fewer greenhouse gas emissions than gasoline-powered cars, according to the California Air Resources Board. The Chevrolet Impala bi-fuel sedan will have a factory-engineered and fully warranted powertrain that switches seamlessly from CNG to gasoline with a total range expected to be up to 500 miles. Akerson says GM is committed to saving 12 billion gallons of gasoline in its 2011 to 2017 model year vehicles, offsetting nearly a year of crude imports from the Persian Gulf, with technologies that include lighter materials to reduce vehicle mass, alternative fuels, clean diesel and electrification. Green Car Journal, which will announce its Green Car of the Year at the Los Angeles Auto Show in mid-November, has narrowed down the field to five finalists and only one of the five, Honda Accord, offers hybrid and plug-in electric versions. The others, getting 38 miles per gallon or better, are two diesels and high mileage gas engines. The five 2014 models are: the Audi A6 TDI, BMW 328d, Honda Accord, Mazda3, and Toyota Corolla. These five finalists are also honored as Green Car Journal's "Top 5 Green Cars for 2014" and earn the magazine's "Green Car Product of Excellence" honors. Who decides? Car buff Jay Leno, Ocean Futures Society president Jean-Michel Cousteau, Natural Resources Defense Council president Frances Beinecke, Sierra Club executive director Michael Brune, and Global Green USA board member Matt Petersen and Green Car Journal editors. Last year's winner was the Ford Fusion. Prior winners were Honda Civic GX natural gas vehicle, Chevrolet Volt plug-in hybrid, Audi A3 TDI Clean Diesel, Volkswagen Jetta TDI Clean Diesel, Chevrolet Tahoe Hybrid, Toyota Camry Hybrid and the Mercury Mariner Hybrid. See you at the L.A. Auto Show. The all-new 2014 BMW 4 Series Convertible with a three-piece retractable hardtop will be offered as both a 428i starting at $49,675 and as a 435i with a starting price of $55,825 (including $925 destination and handling). The 2014 BMW 428i Convertible, powered by a 240 horsepower TwinPower Turbo 2.0-liter 4-cylinder engine, will be offered with a choice of rear-wheel drive or with optional xDrive, BMW’s intelligent all-wheel drive system. The 2014 BMW 435i Convertible will be available at launch in rear wheel drive with a 300 horsepower TwinPower Turbo 3.0-liter inline six engine. The 2014 BMW 4 Series Convertible has a longer wheelbase, wider track and lower ride height than the previous-generation BMW 3 Series Convertible and will arrive in US showrooms in the first quarter of 2014. The 2014 Cadillac ELR electrified luxury coupe will go on sale in January in all major U.S. metropolitan areas at a starting price of $75,995 (including $995 destination charge) with purchasers possibly eligible for a tax credit from $0 to $7,500 depending on individual tax liability. ELR's electric driving range is about 35 highway miles or 82 MPGe with its total driving range in excess of 300 miles. The ELR comes equipped with Cadillac CUE with Navigation accessible through an eight-inch, full-color capacitive-touch screen, light-emitting diode, or LED, front and rear exterior lighting, Lane Departure Warning, Forward Collision Alert, the Safety Alert Seat and the exclusive Regen on Demand™ feature, allowing the driver to temporarily regenerate energy from the vehicle’s momentum via steering-wheel paddles. General Motors is tackling quality - real and perceived - with new measuring tools, helping customers with their infotainment technology struggles through call centers and online through social media sites while trying to provide a friendly dealer environment by remaking their stores and using the Disney Institute to train dealership staff. 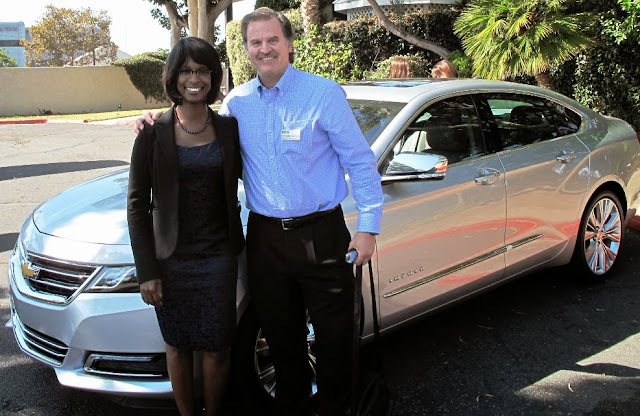 "It’s about making GM a customer-centric company… and working to ensure that everything we do is driven by the customer” according to a very impressive and well-credentialed Alicia Boler-Davis, General Motors Senior Vice President of Global Quality and Customer Experience who, in my view, has the biggest job in the auto industry - hitting head on: 1. Customers’ perception of GM vehicles, brands, and image before they step into the dealer showroom, and, 2. the relationships customers have with GM and dealership personnel throughout the sales, service and ownership experience. There's a history to overcome. Difficulty using infotainment and technology features can be a dissatisfier so GM has 50 in-vehicle technology experts or "Connected Customer Specialists" in the field, covering 85 percent of U.S. markets to work with customers and dealership staff to quickly address customer questions about vehicle connectivity and infotainment systems. GM's new Customer Engagement Center in Warren, Michigan, will have about 300 advisors by the end of the year and there's one dedicated Infotainment Call Center in Texas with fully functioning infotainment systems, so advisors can re-create exactly what their customers are experiencing. GM's effort in what-they-call Human Vehicle Integration (HVI) has resulted in MyLink, IntelliLink, and CUE, the Cadillac User Experience. Drive quality is now measured with a tool that was purchased from Austrian company AVL that provides a numerical assessment of drive quality and enables GM to precisely benchmark the competition. Boler-Davis says "The AVL tool allows us to take the customer’s requirements and translate them into technical specifications that our engineers use to deliver the driving experience that customers expect." 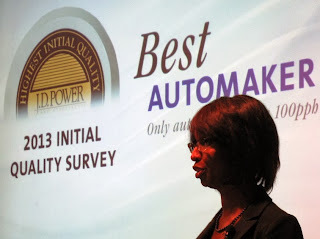 Product quality has been a legacy issue for GM but that is already changing with the 2013 J.D. 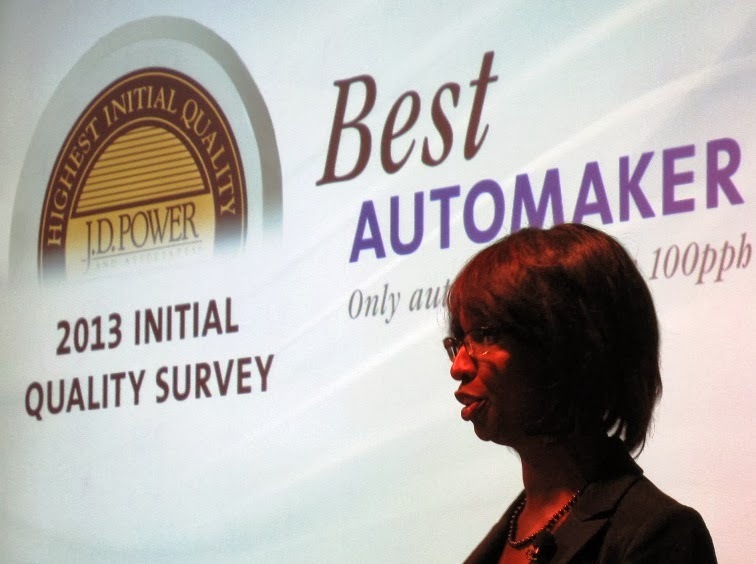 Power Initial Quality Survey, ranking GM the best automaker for initial quality for the first time and being the only automaker to have fewer than 100 problems-per-hundred-vehicles. Eight of GM vehicles placed first in their segment. No other automaker had more than three. And half of GM's models scored in the top three in their segment. 2013 J.D Power Vehicle Dependability Study ranked GM vehicles highest in four separate segments and 11 GM models either received a segment award or placed in the top three in their category. In the 2012 Consumer Reports Annual Reliability Survey, all four of GM U.S. brands improved their scores and are now ranked above the industry average. Cadillac improved 15 places and is now ranked the most reliable U.S. brand. Consumer Reports now recommends 16 GM vehicles, up from 11 the previous year. Boler-Davis says "Warranty costs are another way to gauge the quality of our products, and so I’m also pleased to point out that – on a per-vehicle basis – we have spent less than, for example, Toyota on warranty repairs for the last five years." It's a critical time for GM that will introduce 28 new vehicles in 2013-14 alone, as they turn 70 percent of their North American lineup by the end of next year. It's that new vehicle market reception that will make or break a brand and so far GM looks like they're making it. "...our goal at GM is to provide the best overall customer experience in the industry." I believe positive parting memories of a vehicle influence future purchases so GM is on the right track. Toyota has cut the price on the 2014 Prius Plug-in Hybrid by $2,010 to $29,990 (excluding DPH) and on the 2014 Prius Plug-in Advanced model by $4,620 to $34,905 (excluding DPH). The Prius Plug-in qualifies for a Federal Tax Credit of up to $2,500 in addition to the State of California’s Clean Vehicle Rebate Program (CVRP) which offers a $1,500 rebate. The 2014 Prius Plug-in is also eligible for the State of California’s HOV lane sticker. Pricing takes effect when these models arrive in showrooms in November in 15 states. In September, Prius Plug-In Hybrid sales were 1,152, a 24.2 percent drop from a year ago and year-to-date sales are 7,974, up 3.6 percent from 2012. That compares to year-to-date sales for the Prius sedan of 117,251, an 0.4 percent rise over last year, for the Prius C of 33,133, a 27.4 percent increase and for the Prius V of 28,398, down 11.5 percent compared to the first 9 months of 2012. In comparison, the Chevrolet Volt extended electric vehicle with an MSRP of $34,185 (excluding delivery charges) had sales of 1,766 in September, down 38.1 percent from September 2012 and year-to-day Volt sales are 16,348, a 2.5 percent increase over the first nine months of last year. 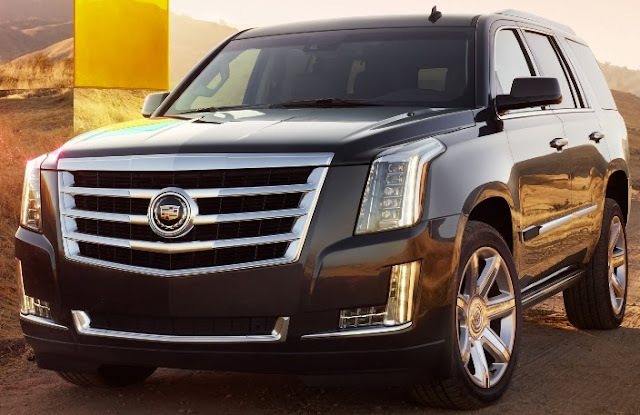 The all-new 2015 Cadillac Escalade, the fourth-generation of General Motors luxury SUV, is offered with 2WD and 4WD drivetrains in a standard and extended-length ESV edition with a new 420 horsepower 6.2L V-8 engine matched with the Hydra-Matic 6L80 six-speed automatic transmission and delivers 460 lb-ft of torque. The Escalade ESV has a 14-inch-longer wheelbase and approximately 20 inches more in overall length than the Escalade, maximizing space for third-row passengers and 60 percent more cargo space behind the third-row seat. Production of the 2015 Escalade begins next spring in Arlington, Texas. Can Volvo Win Nobel U.S. Sales Comeback Prize? Is Volvo's identity crisis slowing down sales? 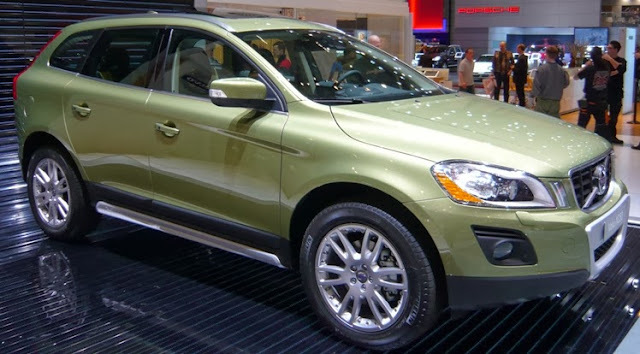 Bought by Chinese Geely Automobile in 2010 with the volume leading S60 and XC60 both made in Ghent, Belgium, and their biggest sales market being the United States. Does that distance the company from its headquarters in Göteborg, Sweden, where safety slogans like "We built them the way we build them because we have to" originated. Did Volvo lose its Swedish touch? Sweden is one of the most successful producers of top talent for its tiny population of just 9.5 million people. Alfred Nobel, the inventor of dynamite, is the namesake of the world's most respected prizes, Ikea owner Ingvar Kamprad's furniture sales has made him one of the world's richest people, Henrik Stenson, born in Volvo's hometown, just won golf's top trophies, the FedEx Cup and Tour Championship, after fighting back from two major career slumps that maybe Volvo can follow. Will Volvo take a chapter from the late Stieg Larsson's highly successful Girl With The Dragon Tattoo trilogy and go for some aggressive market share revenge? When Ford bought Volvo in 1999, under then-CEO Jacques Nasser, it became part of The Premier Automotive Group and in 2001 moved U.S. headquarters from Rockleigh, New Jersey, where it had been since 1964 to Irvine, California. Alan Mulally became Ford's President and CEO in September 2006, Volvo's U.S. headquarters returned to New Jersey in 2008 and Volvo was the last PAG brand to be sold off. The moves and stretch of ownership uncertainty obviously froze focus. Now is Volvo rearranging the deck chairs in the wake of sinking sales in the U.S., their largest market, or hoping to relaunch with a vengeance by giving the role of acting president and CEO to Tony Nicolosi, 26 years with Volvo, who will attempt to revitalize U.S. sales with his background at Volvo Cars Financial Services? He replaces one of the most competent automotive marketing men John Maloney, who was asked to consider a senior role in Europe but, with strong ties to Southern California, decided to leave after 14 years with the company. Greg Swetoha, Executive Vice President of sales operations, has also elected to leave Volvo, despite the August news that Volvo Cars of North America ranked first among luxury brands at having dealerships that are effective at influencing the purchase, according to Foresight Research's 2013 Dealership Report. For the first nine months of 2013, Volvo's seven available U.S. models had sales of 48,193, down 6.6 percent from the same period last year. Only the XC60, with sales of 15,441, up 12.3 percent over 2012, and the volume leading S60 with 18,732, a 4.1 percent sales gain over last year, are showing increases. If U.S. sales hold steady for the last 3 months of 2013, they are on pace for sales of about 64,000 for the year, a far cry from the 2004 U.S. sales record of 140,000 vehicles. The popular XC60, introduced at 2008 Geneva Auto Show is said to be redesigned for 2014 which should boost sizzle and sales. They don't look a lot different but Volvo says the 2014 XC60 has a new hood, front fenders, grille design, headlight assemblies, vertically mounted LED daytime running lights, Corner Traction Control by torque vectoring with interior changes including a new instrument cluster, white illumination in buttons replaces the previous green illumination, new front door sill plates, new metal threshold for cargo area, revised automatic transmission shift knob with piano black background and illuminated symbols, to name a few. In 2010, I spent a week in the XC60 diesel driving around Southern Sweden and loved the vehicle. 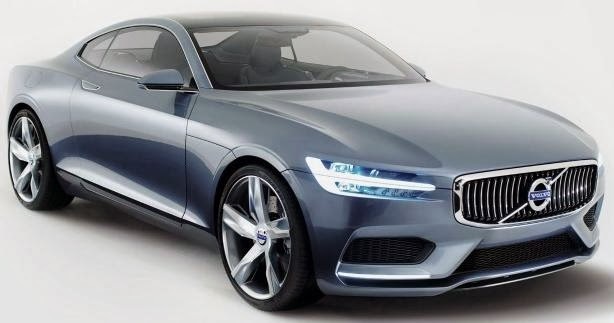 The latest Volvo Concept Coupé is being touted as a Scandinavian creation. The Swedish touch, safety legacy and revitalized products will be the key to the return of a brand that sold 456,224 vehicles globally just 9 years ago. The Volkswagen XL1, plug-in hybrid with a 48 PS (35kW) two-cylinder TDI® engine, a 27-hp electric motor, a seven-speed DSG® dual-clutch automatic transmission, and a lithium-ion battery, made its U.S. debut in Chattanooga, Tennessee. The XL1 offers an estimated European combined fuel consumption rating of 261 mpg (more than 200 mpg estimated in the U.S. cycle) and can cover up to 32 miles as a zero-emissions vehicle in all-electric mode. The XL1 also has a top speed of 99 mph and can accelerate from 0 to 62 mph in 12.7 seconds. The XL1 is 153.1 inches long, 65.6 inches wide, and just 45.4 inches tall. By comparison, a Volkswagen Polo is slightly longer (156.3 in) and wider (66.2 in), but is significantly taller (57.6 in).EV1 or old Honda Insight similarity? General Motors delivered 187,195 vehicles in the United States in September, down 11 percent year over year. Retail sales were down 6 percent versus a year ago and fleet sales were down 27 percent. Year-to-date sales are 1,603,319, an 11.6 percent increase. GM sold 13,828 Cadillacs in September, up 9.9 percent, and 133,414 of the luxury brand vehicles this year, a 28.9 percent gain over 2012. Ford sales totaled 185,146, a 5.8 percent increase for its best September since 2006 while year-to-date sales are 1,893,426, a 12 percent increase of last year. The Lincoln brand had sales of 6,453, a 5.1 percent drop from September 2012 while year-to-date sales of the luxury brand are 59,852, a 6.3 percent decline. Toyota Motor Sales, U.S.A. reported September 2013 sales results of 164,457, a decrease of 4.3 percent from year-ago month. Toyota Division posted September 2013 sales of 144,935, down 4.3 percent over September 2012. Lexus reported September sales of 19,522, a 4.2 percent decline on a raw volume basis year-over-year. Chrysler reported U.S. sales of 143,017, a 1 percent increase compared with sales in September 2012 for the best September sales since 2007. Year-to-date sales of 1,357,003 is a 9 percent gain over last year. American Honda September 2013 U.S. sales of 105,563 was a decrease of 9.9 percent compared with September 2012 while year-to-date sales 1,159,012 are up 8.7 percent over 2012. The Honda division posted September 2013 sales of 93,915, a decrease of 8.7 percent compared with September 2012 with year-to-date sales of 1,038,182, a 9.2 percent increase over last year. Acura U.S. September sales of 11,648 is a decrease of 18.9 percent compared with September 2012 and year-to-date is 120,830, a 4.4 percent gain over last year. Nissan U.S. sales in September totaled 86,868, down 5.5 percent from last year while year-to-date, sales are 941,116, an 8.6 percent increase over 2012. Nissan Division September sales finished at 77,828, a decrease of 5.6 percent. Sales of Infiniti vehicles totaled 9,040 units, down 4.3 percent. Hyundai Motor America September sales of 55,102 was down eight percent versus the same period in 2012. Year-to-date sales of 548,218, was a 1.6 percent increase of 2012. Kia Motors America reported September sales of 38,003, a 21 percent tumble from 2012, while year-to-date sales of 416,383 is a 4.3 percent fall from last year. Subaru of America reported 31,755 vehicle sales for the month of September, an increase of 15 percent over September 2012, representing the best September sales month in company history. Year-to-date sales for Subaru totaled 313,407, 28 percent higher than the same period in 2012. Subaru is on track to achieve its fifth-consecutive year of sales increases. The BMW Group in the U.S. (BMW and MINI combined) reported September sales of 28,874 vehicles, an increase of 8.3 percent from the same month a year ago. Year-to-date, the BMW Group (BMW and MINI combined) is up 11.6 percent on sales of 262,200 in the first nine months of 2013 compared to 2012. Mercedes-Benz USA reported the highest September sales in its history with 27,474 sold across the Mercedes-Benz, Sprinter and smart model lines, an increase of 5.8 percent from September 2012. Retail volumes for the Mercedes-Benz brand rose 6.7 percent over the same period last year to 24,697, while year-to-date sales of 215,056 was up 12.2 percent. Adding year-to-date sales of 14,940 for Sprinter Vans and 6,937 vehicles at smart, MBUSA's year-to-date total reached 236,933, marking a best-ever third quarter for both the Mercedes-Benz brand and MBUSA. Mazda North American Operations reported September U.S. sales of 22,464 vehicles, representing a decrease of 6.9 percent versus last year. Year-to-date sales through September are up 5.3 percent versus last year, with 220,490 vehicles sold. Jaguar Land Rover North America reported September 2013 U.S. sales of 4,700, a 1 percent increase from September 2012. Jaguar sales were 1,313, 31 percent up from September 2012 with year to date Jaguar sales 12,447, up 30 percent. Land Rover sales were 3,387, down 7 percent from a year ago but still up 12 percent year-over-year. Year to date through September, Jaguar Land Rover North America is up 16 percent. Volvo Cars of North America reported U.S. sales of 4,188, a 15.9 percent decrease versus September 2012. Year-to-date sales are 48,193, down 6.6 percent over the first nine months of 2012. Porsche Cars North America September 2013 sales of 3,093 vehicles was an increase of 13 percent over the same period in 2012. During the first nine months of the year, Porsche has sold 31,549 cars in the U.S., 26 percent ahead of last year's year-to-date total. Mitsubishi Motors North America reported September sales of 4,001, down 16.7 percent compared to September 2012.